I posted this on the main forum but thought I should share with my fellow Rolexers here as well. 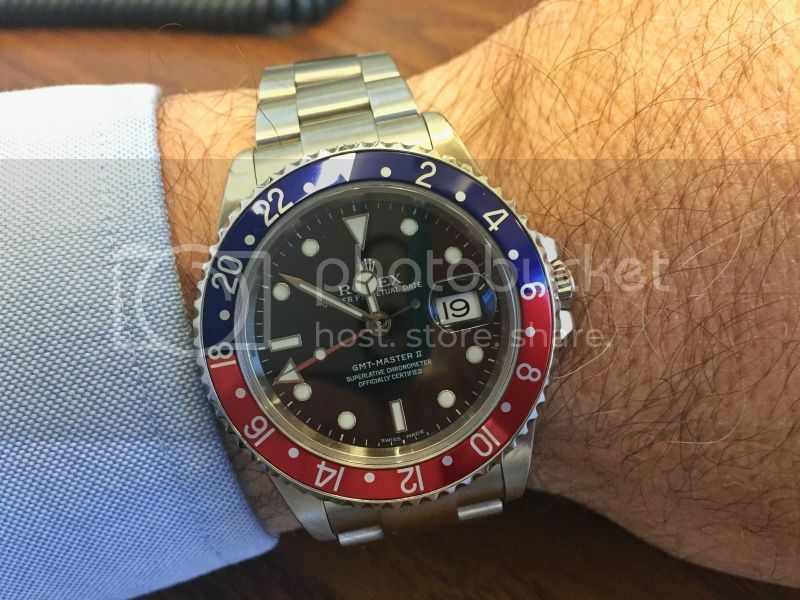 After what seemed like years, I finally found a lightly loved GMT Master II 16710 with the classic Pepsi bezel. This is the one I passed up years ago for a Submariner and then they stopped making it. Like many, I was very disappointed when the new ceramic Pepsi came out last year to find out it was exclusively available in white gold only. Feel like I have now rectified that mistake and gotten the watch I have always wanted. For a Georgia boy raised on Coke, this is one Pepsi I am happy to have!